Part number: 4F0616040R. Item: Driver side Front Right air suspension strut. Condition: In good used condition. Part number - 5Q0407254A. Year of Manufacture - 2016. Model - A3 (8V1, 8VK). A4 (8E B6). Pro Sport Adjustable Coilover Kit - 30-70mm Front / 30-60mm Rear. Performance 3000 - Sports Suspension, Springs, Coilovers, Lowering Kits, Shocks, Shock Absorbers, Dampers, Lowering Springs, 20, 25, 30, 35, 40, 45, 50, 55, 60mm. Pro Sport Adjustable Coilover Kit - 20-60mm Front / 20-50mm Rear. Performance 3000 - Sports Suspension, Springs, Coilovers, Lowering Kits, Shocks, Shock Absorbers, Dampers, Lowering Springs, 20, 25, 30, 35, 40, 45, 50, 55, 60mm. Pro Sport Adjustable Coilover Kit - 30-70mm Front / 30-60mm Rear. 1.9 TDI Diesel. 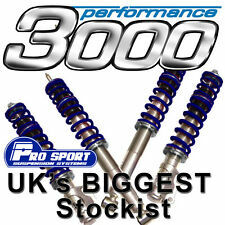 Performance 3000 - Sports Suspension, Springs, Coilovers, Lowering Kits, Shocks, Shock Absorbers, Dampers, Lowering Springs, 20, 25, 30, 35, 40, 45, 50, 55, 60mm. Part number - 6C0407256A. Model - A1 (8X1, 8XK). Part number - 4G0407254B. Model - A6 Avant (4G5, C7, 4GD). AUDI A8(4D2 4D8) 1994 - 2002. MADE IN GERMANY. - United Kingdom. THIS SET INCLUDES Credit card. Poczta Polska. Donor vehicle: Audi A1 1.4 tfsi 2011. Front hub, shock and spring. Front Suspension Leg. 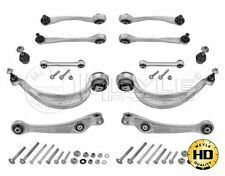 Genuine OEM part remain of highest quality and durability. This part will not fix your car in miraculous plug and play way! AUDI A5 COUPE 3.0 V6 TDI QUATTRO 2009. Original Audi A6 4F Air Suspension Shock Absorber 4F0616040P Suspension Strut Air Strut Right DA. Since only this ensures that the product is suitable for your vehicle. Based on your chassi. EAN Nicht zutreffend. 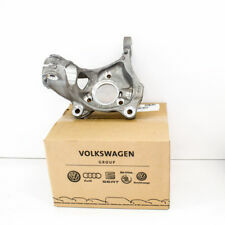 AUDI A5 2018 2.0TDI QUATTRO, AUTOMATIC GEAR BOX - REAR RIGHT SIDE STEERING KNUCKLE 8W0505436AA / 8W0505432Q. Year Of Manufacture: 2018. Item removed from fully working vehicle. Audi A4 B8 1.8T Set Front Rear Springs from SE Saloon. Here we have for sale: Audi S1 8X RHD 15-18 2.0 TFSI Driver Side Front OSF Drive Shaft 6C0407272. Part Number: 6C0407272. Model: Audi S1 8X. A1 Auto Parts North West. 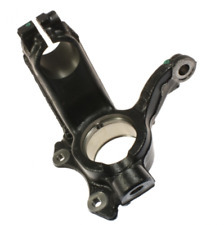 Shock absorber part number: 8F0413031. Original Audi A5 Front Suspension Leg in excellent condition. AUDI A5 8K REAR RIGHT SUSPENSION / SPINDLE BEARING & HUB 8K0505432AP refG4. Condition is Used. Dispatched with eBay delivery - Shutl 1 day. PART NUMBER:A6 C6 2.0 TFSI. WE AIM TO RESOLVE ANY ISSUE IN 24 HOURS. USED, BUT IN GOOD WORKING CONDITION. 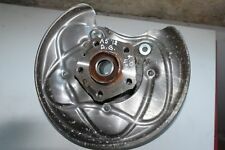 Spring Spring Rear Left Right for Lim Audi A4 8E B7 04-08 115TKM!!! AUDI A4 B8 2007-2015 TDI 2.0. 2009 AUDI A4 AVANT Se TDI 2.0. GENUINE REAR PASSENGER SIDE SUSPENSION HUB LEG. OUR REF : 115 A4. THIS WILL MAY FIT OTHER AUDI MODELS. SHOCK ABSORBERS ARM WISHBONE. BODY :ESTATE. Steering knuckle with drive shaft. Original part Used and fully functional. Part. : 4E0616002M. From aAudi S8 4E. from your part have send us. Taken from a 2007 2.0 tdci a4. This item has been removed: AUDI. Make: AUDI. UAB QONAGO No weekend or after working hours dispatch available. See pictures. Item discription.